And so I had been sticking to gym work. 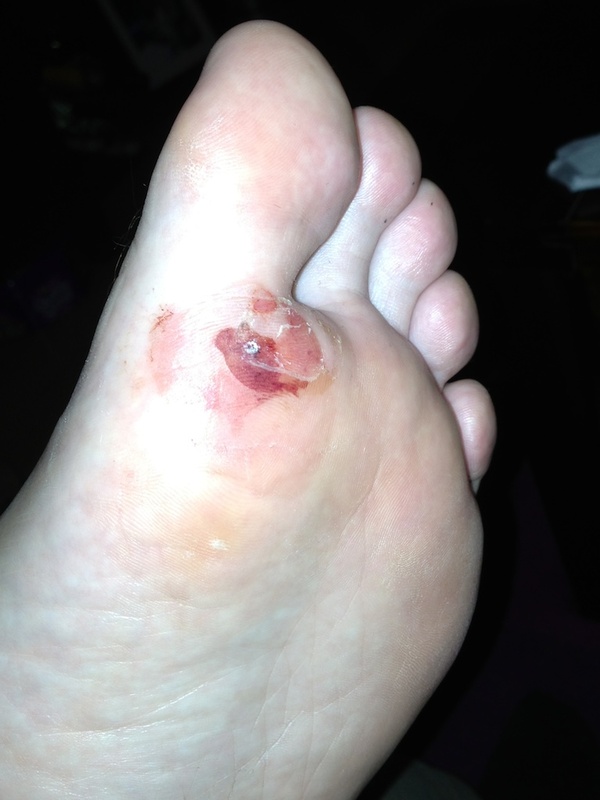 Last Sunday I felt happy that it had healed, there was still a small blood blister underneath where the original blister had been, but it wasn’t causing me any trouble. And so my wife dropped me 12-miles away and I began the run home. My foot started hurting only a few miles in but I continued. 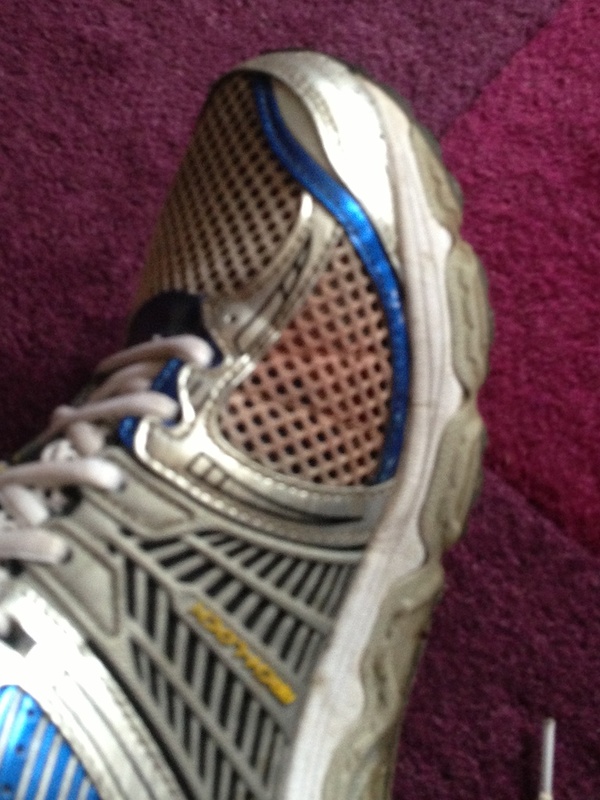 But, with only a mile or so left to run, I felt a ‘pop’ in my trainer and looked down to see a red stain appear. Bugger! So now I’m having to avoid running yet again which, with a little over a week to go until my first half marathon, is soul destroying. 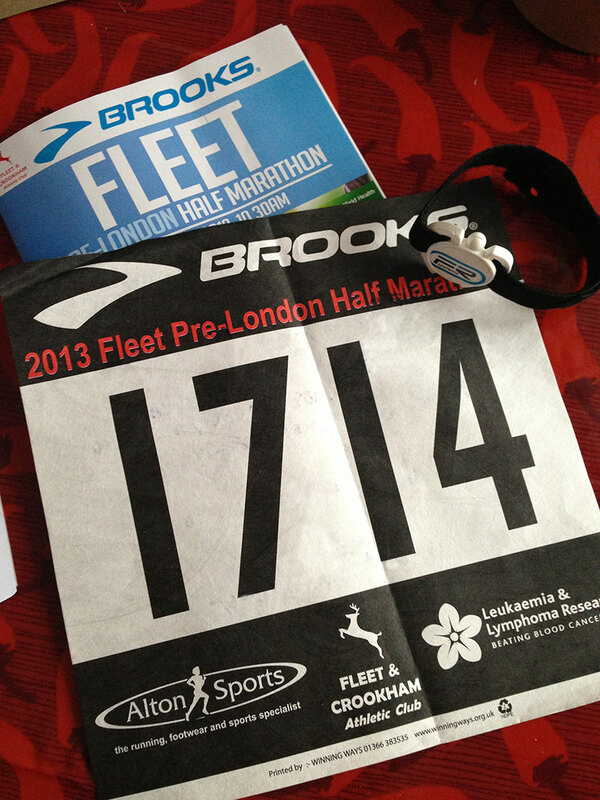 But I have to allow it time to heal or I risk suffering all the way to the London Marathon. Still, if I can run 12 miles in 2hrs 15mins, and with a blister for most of it, if it heals I might actually enjoy the half marathon! I just need to ignore all the racing snakes who will leave me for dust within the first mile or so!